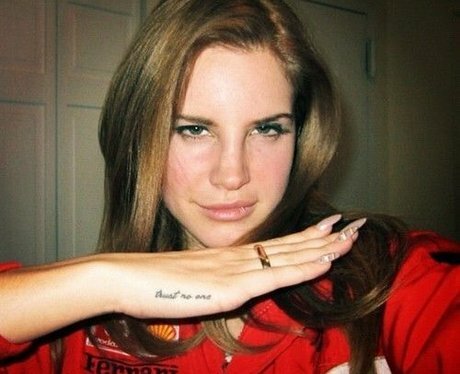 Lana del Rey sings a lot about fame and loneliness so it would only make sense that she get a tattoo to commemorate all that she's learned in Hollywood. The main lesson? Trust no one. She internalized this message so much that she got it permanently tatted on her hand, of course.